After scoring the Lions’ only goal in the second round of World Cup Qualification, Soccer Iraq sat down with Mohanad Abdul-Raheem to reflect on the life of the nation’s most promising striker. Back playing domestically but definitely not off the radar, the rising hitman tells Laith Al Naeme of his love for the game, how it began and his career so far in this exclusive in-depth interview. So, Mohanad, how did football all start for you? Like most kids, my dream was to become a footballer. I began kicking a ball in Al-Dora, Baghdad, and played for a street team. My dad always believed in me which really helped when starting at Al-Karkh. I spent a short spell out at Al-Shabab and this was important as I gained great experience that was key towards breaking into Al-Karkh’s first-team. Was there a player in particular, from in or out of Iraq, that inspired you when growing up? ‘The Phenomenon’ Ronaldo and Younis Mahmoud. You started off your career at Al-Karkh, what was that like? My first participation for the Al-Karkh first-team was in the qualifying rounds for the 2009/10 Iraqi Premier League. The coaches and players were at a much higher level than I was used to [Mohanad still managed to score a hat-trick in his first game]. We ended up qualifying for the league which led to me playing with great players like Saad Abdul-Amir, Jawad Kadhim, Ahmed Abbas and many others. I will forever stay indebted to Al-Karkh and the coaches who trained me at that time. 2012 was a year of accolades for you – winning the AFC U-19 Championship’s MVP and Asian Young Footballer of the Year. An all round massive achievement. You must have been very proud? It was unbelievable. I would have been much happier if we beat South Korea in the Championship final but being voted player of the tournament and the continent’s best youngster was a huge honour. Even now, I still feel the joy I had when winning these awards and I am still very proud of what I achieved that year. And then followed the U-23 World Cup where Iraq incredibly finished 4th place, and it could have been even further! You were impressive yet again and scored against Egypt. How did you find the tournament? For us to compete in any international tournament will always be a big achievement. I still feel sad when I think about the semi-final against Uruguay, though. Football is a cruel game at times, especially when it comes to penalty shootouts, but this experience was invaluable. We became stronger players after it. A year later you made the move to JS Kabylie. How was life in Algeria? I was injured several times during my time abroad, mostly due to the fact many Algerian teams play on artificial surfaces. Also, unfortunately, a tragic event happened at the club during my time there [the death of teammate Albert Ebossé]. But I still gained great experience and learned a lot. I was very happy to represent ‘The Canaries’ especially with the fantastic support of the fans from the city of Tizi Ouzou. They absolutely love football and will always have a special place in my heart. You scored decisive goals against UAE and hosts Qatar in the #RoadToRio. How did it feel knowing you would be going to Brazil as Asia’s only Middle Eastern representative? What matters the most is the final result, regardless of my goals. However, I can remember my strike perfectly thinking back. I wouldn’t have scored if it wasn’t for my amazing teammates. To qualify to Brazil was sensational. And playing internationally at one of the best tournaments in the world is a dream that became a reality for our generation. It was the first time Iraq qualified to the Olympics since 2004 and although not advancing to the quarter-finals, you remained unbeaten. Was it just an amazing all round experience? Despite everyone agreeing the team played well, what happened against South Africa was difficult to take. We all had sleepless nights afterwards. The good performance was expected, though, because as a team we believe we are a very talented group. Back at club duty, you went undefeated last season to win the title, claiming the league’s joint top scorer award in the process. It’s not going to be easy to top that! What do you hope to achieve with Al-Zawraa this year? We have a real mix of young and experienced players, despite the financial difficulties and not having a stadium exclusive to the team. But Al-Zawraa plays with its history and legacy and it’s impossible to put on the white shirt without giving this club 100%. The task at hand is hard but certainly not impossible. Following the retirement of the great Younis Mahmoud, are you confident that you can become Iraq’s next talisman? Some players are irreplaceable, especially The Assassin. We hope we can reach the level and legacy of the previous generation, which included stars like Younis Mahmoud, and succeed them in the best possible way. After defeats to Australia and Saudi Arabia, do you feel chances of qualifying to Russia 2018 are slim? There is no doubt we believe in ourselves and our capabilities. Our team has the talent and character. We will do our best to achieve the unthinkable. Finally, Mohanad, congratulations on your recent international goal against Saudi Arabia. Despite it not being the match winner it showed us that bit of Mohanad magic that we all know you can offer. Thanks for your time and best of luck! 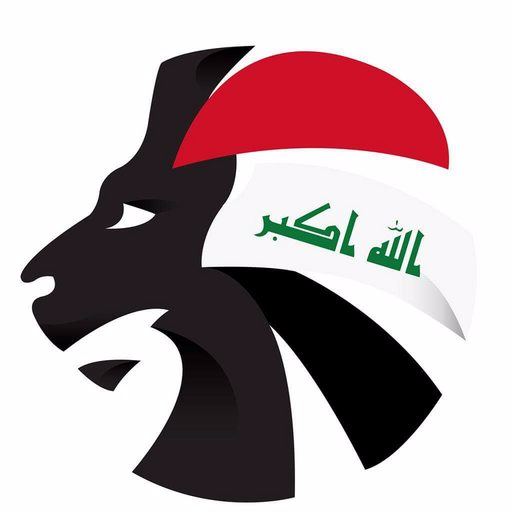 Special shout-out to Soccer Iraq contributors Yaseen Kabash and Ali Al-Fakhri for their help throughout.